Apparently, French football legend and president of UEFA, Michel Platini is risking the anger of the major European leagues by suggesting that the 2022 World Cup in Qatar is held in winter rather than in the spring. The Frenchman's stance puts him in direct opposition to some of Europe's biggest leagues and clubs, who want the event to be staged in May. The World Cup is usually held in June and July, but Fifa has been told that Qatar's searing summer temperatures will put players' health at risk. 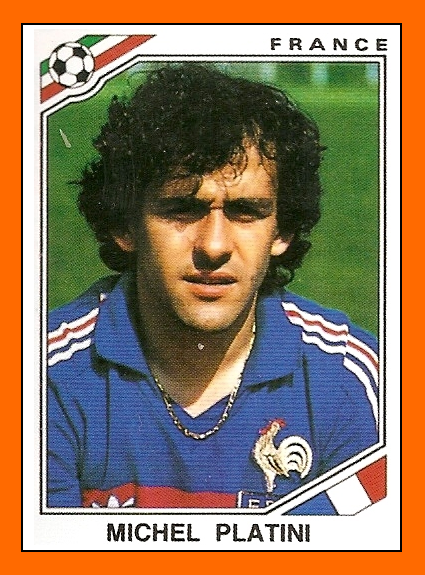 Platini said: "It'll never be in April, May or June. It will be in winter." He added the 2022 Champions League semi-finals and final could be moved to June if necessary, saying the clubs would accept whatever decision was made. "It's not the clubs that are playing, it's the players and it's not possible to play in May when it's 40 degrees," said Platini, 59. This is the same Michel Platini who was a steadfast advocate of Qatar's bid for the Summer World Cup in the first place. This is also the same Michel Platini who has refused to return the £16,000 watch that was gifted to him by the Brazilian Football Confederation that even FIFA decided that the gift breached it's code of ethics. Yes... apparently FIFA does have a code of ethics, and apparently even they thought a line had been crossed. Platini disagreed. "I'm a well-educated person. I don't return gifts." Well, that's alright then. I'm glad we cleared the ethics of that all up. Of course, the real question in all of this is how a country with no football infrastructure or tradition, an appalling record in human rights and summer temperatures in excess of 50C was awarded the World Cup in the first place..... but we all know the answer to that, don't we? It's apparently now a given that the tournament can't be played in the summer, but not that it should be moved somewhere more sensible. The fat cats are prepared to turn the football calendar on its head rather than reverse their absurd decision that put them in this position in the first place. But of course he is. It sounds like he'll fit right in with his snout in the biggest trough in world football. Champagne! Champagne for everyone! He was some player though, eh? This. The strange tale of Chuck Blazer. "With the case of the former Fifa executive Chuck Blazer, happily, there is no such disappointment. The FBI appears to have verified that the erstwhile ExCo member and Concacaf general secretary retained two luxury Trump Tower apartments: one for himself and one for his cats". This man also ran up a $29m AmEx bill all in service to football and whilst zooming around on a mobility scooter made necessary by a fat cat diet of rich food in high end restaurants. You couldn't make it up.